What is the most often overlooked component of an audio or video system? Often forgotten, ignored, or disregarded, one of the most important elements in any installed system is�CABLE! Using inferior cable is not only taking a huge risk, it can be very costly in time, labor and money. Top notch audio-video professional installations require professional cables. When ordering your baluns, hubs and adapters, the right cables are needed to complete your installation. For your system to work properly, the choice of cables is as critical as the choice of boxes. 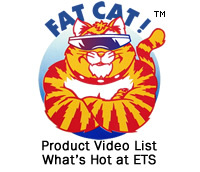 ETS now offers certified Category 5e, 5e+ and 6 cables by Blue Jeans Cable. Cables are individually tested with the test results sent with your order. All cable carriers are etherCon connectors from Neutrik unless ordered otherwise. 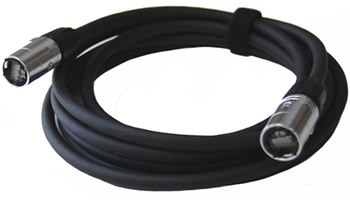 ETS offers Blue Jeans Cable in a choice of black or grey in lengths of 25, 50,100 and 200 feet. Custom lengths and other colors are also available and can be ordered through Blue Jeans Cable. 24 stranded 100 MHz Unshielded, flexible, tactical (rugged) for field and stage applications. Bonded pairs. You can print it out or just read it.